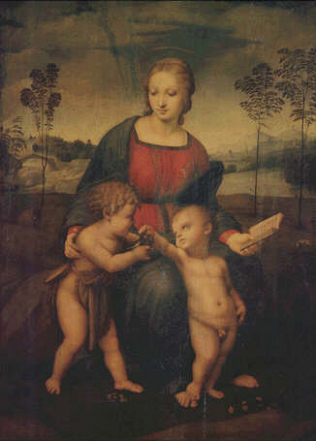 Painted in 1505/6 for Lorenzo di Bartolomeo Nasi, on the occasion of his wedding to Sandra di Matteo Canigiani. In 1547 it was damaged by the collapse of the building it was in. From the collection of Cardinal Giovan Carlo de\' Medici.